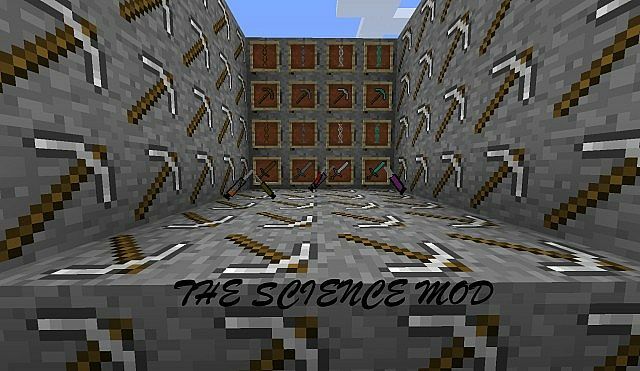 The Science Mod is a very small mod that allows you to extract blood from your enemies in order to craft new items. This mod opts for quality over quantity, and at the moment is only a work in progress. But, I would recommend downloading this mod now so that you get all of the updates early! This mod is available for the latest patch of Minecraft 1.7.4 and can also be installed for server and client. There is no real way to use the Science Mod you first of all need to download it with Minecraft Forge and then you can load up your latest save game. When loading all of the mods features should be automatically enabled. First of all, you need to craft a syringe with a piston, glass and one steel ingot. The syringe will allow you extract blood from yourself, an enderman, spiders, zombies and skeletons. Right click to extract blood, or shift and click to take your own. You can then extract DNA from several weapons and also create and craft a new machine. Next, download the Science Mod and drag and drop the .zip files to your desktop.